"Although [Rodrik's] message is nuanced and rigorous, drawing on history, logic and the latest economic data, he manages to convey it in simple, powerful prose that any reader can follow..a much-needed addendum to [Adam] Smith's famous formulation." "Simply the best recent treatment of the globalization dilemma that I've read, by an economist or anyone else..He gives us nothing less than a general theory of globalization, development, democracy, and the state. The book provides the pleasure of following a thoughtful, critical mind working through a complex puzzle. 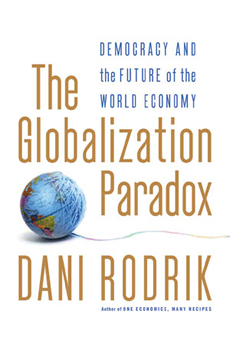 Rodrik writes in highly friendly and nontechnical prose, blending a wide-ranging knowledge of economic history and politics and a gentle, occasionally incredulous, skepticism about the narrow and distorting lens of his fellow economists." The great financial crisis of 2008-2009 that brought Wall Street down and humbled the United States along with other major industrial nations and the continuing struggles of the Eurozone have raised serious questions about the sustainability of global capitalism, at least in the form that we have experienced it in the last quarter century. It will be quite some time before any policy maker can be persuaded that financial innovation is an overwhelming force for good, that financial markets are best policed through self-regulation, or that governments can expect to let large financial institutions pay for their own mistakes. We need a new narrative to shape the next stage of globalization. The more thoughtful that new narrative, the healthier our economies will be. Global finance is not the only area that has run out of convincing storylines. Negotiations aimed at reducing barriers to international trade are stalled amid much acrimony and finger-pointing. These talks, organized under the auspices of the World Trade Organization (WTO) and dubbed the "Doha Round," had been ongoing since 2001. For many anti-globalization groups, they had come to symbolize exploitation by multinational corporations of labor, poor farmers, and the environment. Even though efforts to revive the talks continue, the WTO seems to have run out of ideas to boost its legitimacy and make itself relevant once again. Today the self-assured attitude of globalization's cheerleaders has all but disappeared, replaced by doubts, questions, and skepticism. The world has seen globalization collapse once already. The gold standard era-with its free trade and free capital mobility-came to an abrupt end in 1914 and could not be resuscitated after World War I. Could we witness a similar global economic breakdown in the years to come? The question is not fanciful. Although economic globalization has enabled unprecedented levels of prosperity in advanced countries and has been a boon to hundreds of millions of poor workers in China and elsewhere in Asia , it rests on shaky pillars. Unlike national markets, which tend to be supported by domestic regulatory and political institutions, global markets are only "weakly embedded." There is no global anti-trust authority, no global lender of last resort, no global regulator, no global safety nets, and, of course, no global democracy. In other words, global markets suffer from weak governance, and are therefore prone to instability, inefficiency, and weak popular legitimacy. This imbalance between the national scope of governments and the global nature of markets forms the soft underbelly of globalization. A healthy global economic system necessitates a delicate compromise between these two. Give too much power to governments, and you have protectionism and autarky. Give markets too much freedom, and you have an unstable world economy with little social and political support from those it is supposed to help. The first three decades after 1945 were governed by the Bretton Woods compromise, named after the eponymous New Hampshire resort where American, British and other policy makers from allied nations gathered in 1944 to design the post-World War II economic system. The Bretton Woods regime was a shallow multilateralism that permitted policymakers to focus on domestic social and employment needs while enabling global trade to recover and flourish. The genius of the system was that it achieved a balance that served multiple objectives admirably well. Some of the most egregious restrictions on trade flows were removed, while leaving governments free to run their own independent economic policies and to erect their preferred versions of the welfare state. Developing countries, for their part, were allowed to pursue their particular growth strategies with limited external restraint. International capital flows remained tightly circumscribed. The Bretton Woods compromise was a roaring success: the industrial countries recovered and became prosperous while most developing nations experienced unprecedented levels of economic growth. The world economy flourished like never before. The Bretton Woods monetary regime eventually proved unsustainable as capital became internationally more mobile and the oil shocks of the 1970s hit the advanced economies hard. This regime was superseded in the 1980s and 1990s by a more ambitious agenda of economic liberalization and deep integration-an effort to establish what we may call hyper-globalization. Trade agreements now extended beyond their traditional focus on import restrictions and impinged on domestic policies; controls on international capital markets were removed; and developing nations came under severe pressure to open their markets to foreign trade and investment. In effect economic globalization became an end in itself. In pushing the postwar globalization model beyond its limits, economists and policy makers overlooked what had been the secret of its original success. The result was a series of disappointments. Financial globalization ended up promulgating instability rather than higher investment and more rapid growth. Within countries, globalization generated inequality and insecurity instead of lifting all boats. There were stupendous successes in this period- China and India in particular. But these were countries that chose to play the globalization game not by the new rules, but by Bretton Woods rules. Instead of opening themselves unconditionally to international trade and finance, they pursued mixed strategies with a heavy dose of state intervention to diversify their economies. Meanwhile countries that followed the more standard recipes-such as those in Latin America -languished. And thus globalization became a victim of its own earlier success. Replacing our economic world on a safer footing requires a better understanding of the fragile balance between markets and governance. I offer an alternative narrative in my book based on two simple ideas. First, markets and governments are complements, not substitutes. If you want more and better markets, you have to have more (and better) governance. Markets work best not where states are weakest, but where they are strong. Second, capitalism does not come with a unique model. Economic prosperity and stability can be achieved through different combinations of institutional arrangements in labor markets, finance, corporate governance, social welfare, and other areas. Nations are likely to-and indeed are entitled to-make varying choices among these arrangements depending on their needs and values. Trite as they may sound as stated, these ideas have enormous implications for globalization and for democracy, and for how far we can take each in the presence of the other. Once you understand that markets require public institutions of governance and regulation in order to function well, and further, you accept that nations may have different preferences over the shape that those institutions and regulations should take, you have started to tell a story that leads you to radically different endings. 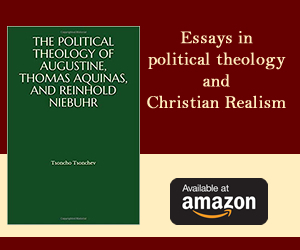 In particular, you begin to understand what I will call the fundamental political trilemma of the world economy: we cannot simultaneously pursue democracy, national determination, and economic globalization. If we want to push globalization further, we have to give up either the nation state or democratic politics. If we want to maintain and deepen democracy, we have to choose between the nation state and international economic integration. And if we want to keep the nation state and self-determination, we have to choose between deepening democracy and deepening globalization. Our troubles have their roots in our reluctance to face up to these ineluctable choices. Even though it is possible to advance both democracy and globalization, the trilemma suggests this would require the creation of a global political community that is vastly more ambitious than anything we have seen to date or are likely to experience soon. It would call for global rule-making by democracy, supported by accountability mechanisms that go far beyond what we have at present. Democratic global governance of this sort is a chimera. There are too many differences among nation states, I shall argue, for their needs and preferences to be accommodated within common rules and institutions. Whatever global governance we can muster will support only a limited version of economic globalization. The great diversity that marks our current world renders hyper-globalization incompatible with democracy. So we have to make some choices. Let me be clear about mine: democracy and national determination should trump hyper-globalization. Democracies have the right to protect their social arrangements, and when this right clashes with the requirements of the global economy, it is the latter that should give way. You might think that this principle would be the end of globalization. Not so. Re-empowering national democracies will in fact place the world economy on a safer, healthier footing. And there lies the ultimate paradox of globalization. A thin layer of international rules that leaves substantial room for maneuver by national governments is a better globalization. It can address globalization's ills while preserving its substantial economic benefits. We need smart globalization, not maximum globalization. * Reprinted from The Globalization Paradox: Democracy and the Future of the World Economy by Dani Rodrik (c) 2011 by Dani Rodrick. Used with permission of the publisher, W. W. Norton & Company, Inc.